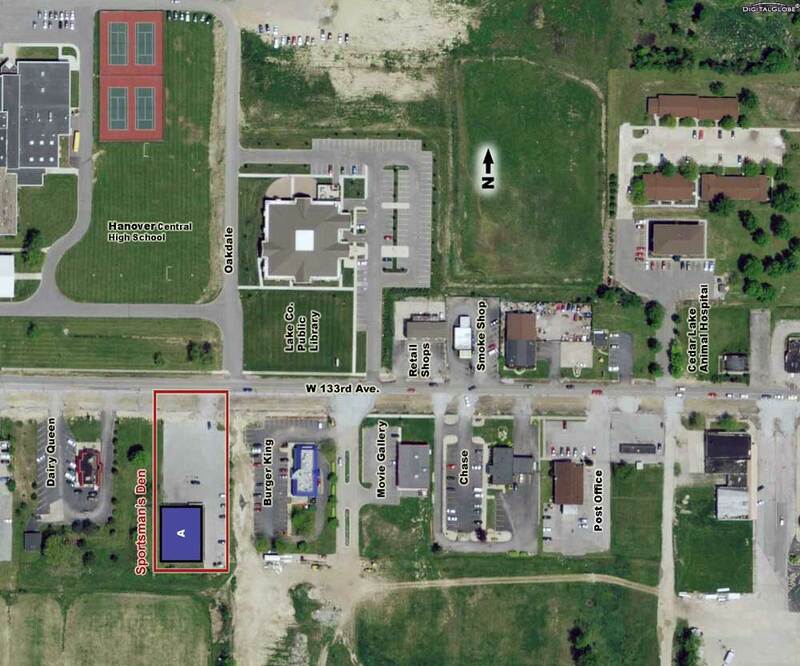 Single Tenant Property with Sportsman's Den. 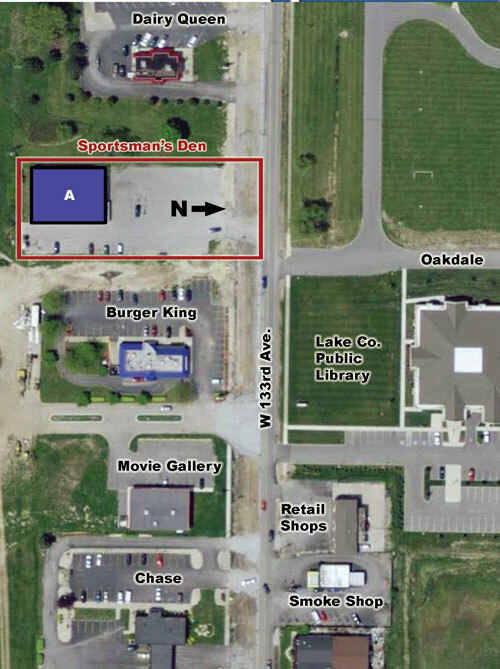 The Cedar Lake Sportsman's Den is located at 9905 W. 133rd Avenue with easy access to Cedar Lake and the busy 133rd Avenue retail leading to U.S. Highway 41. Chicago - Michigan City MSA - Rural Lake County Indiana.